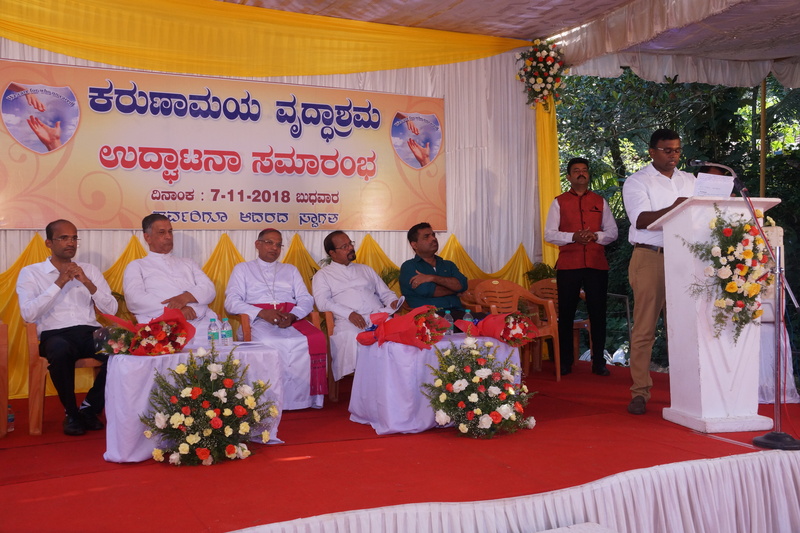 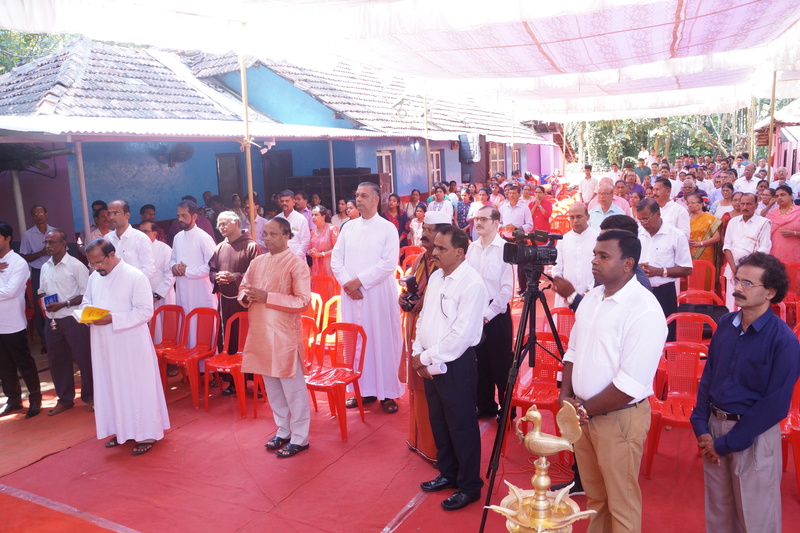 SVP members of Kulshekar Parish visited Karunamaya ashram Permai. 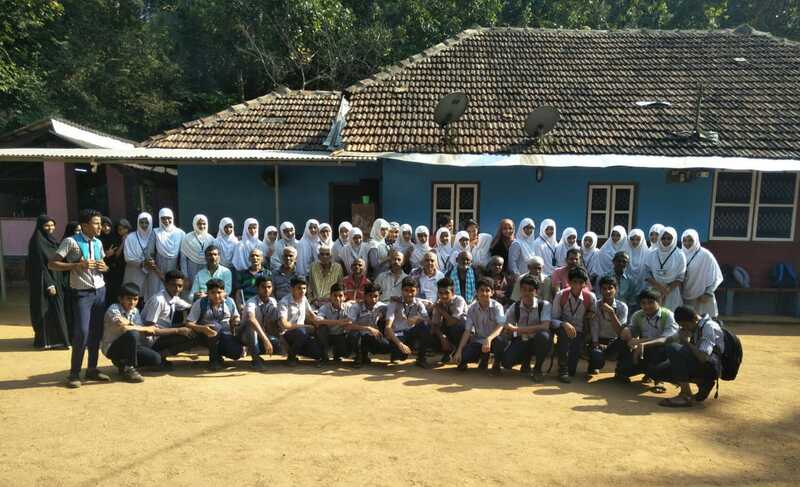 It was such a joy to have them. 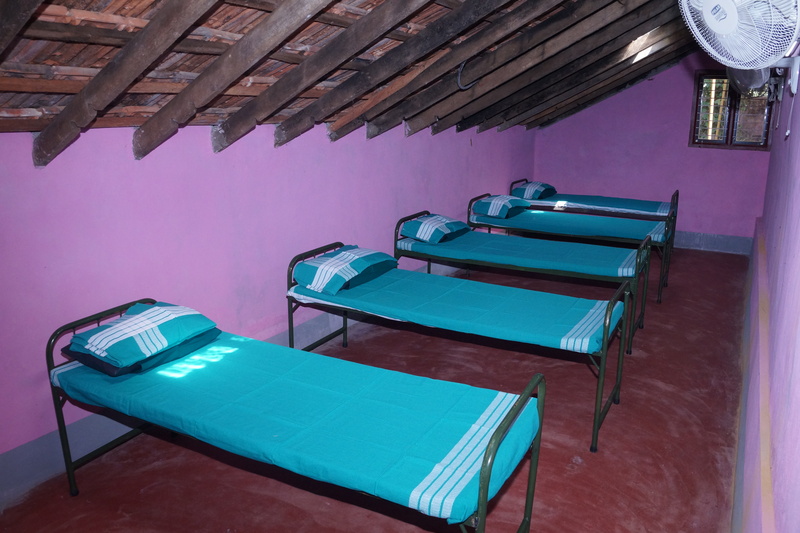 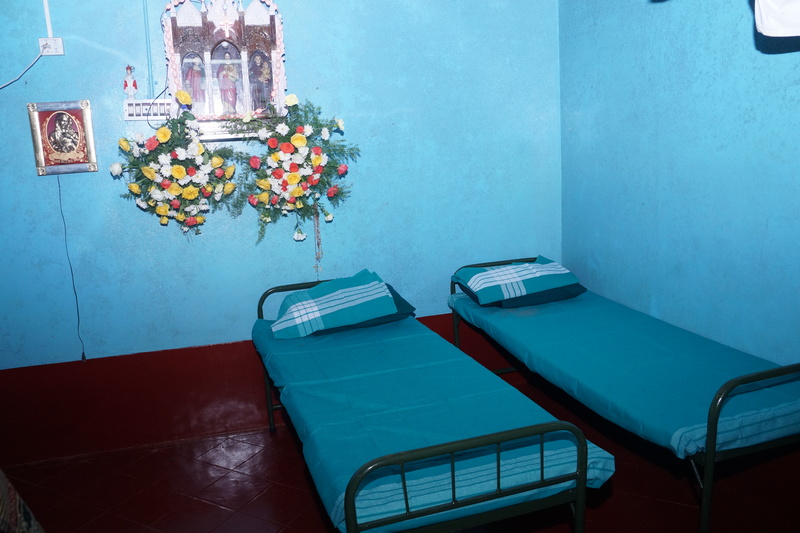 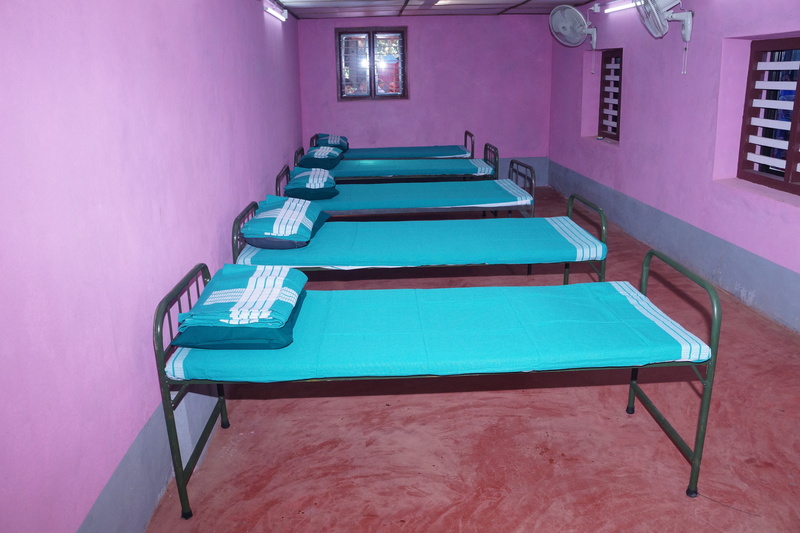 The inmates at Karunamaya were blessed by their donations. 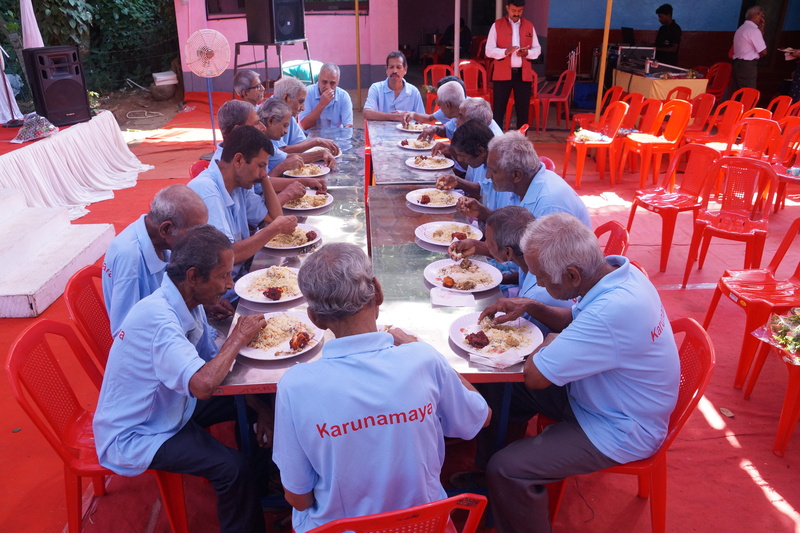 For charitable trusts like Karunamaya, such acts of kindness by people around really makes a difference in their functioning and enables them to cater to the needs of the inmates. 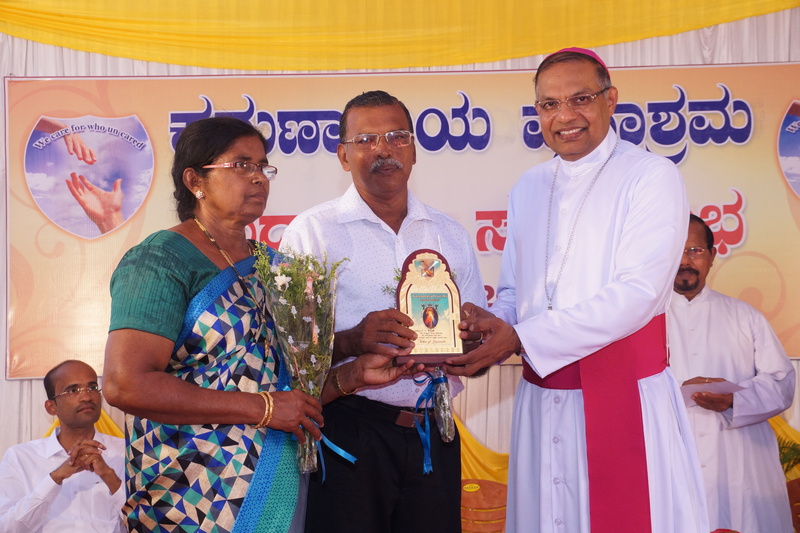 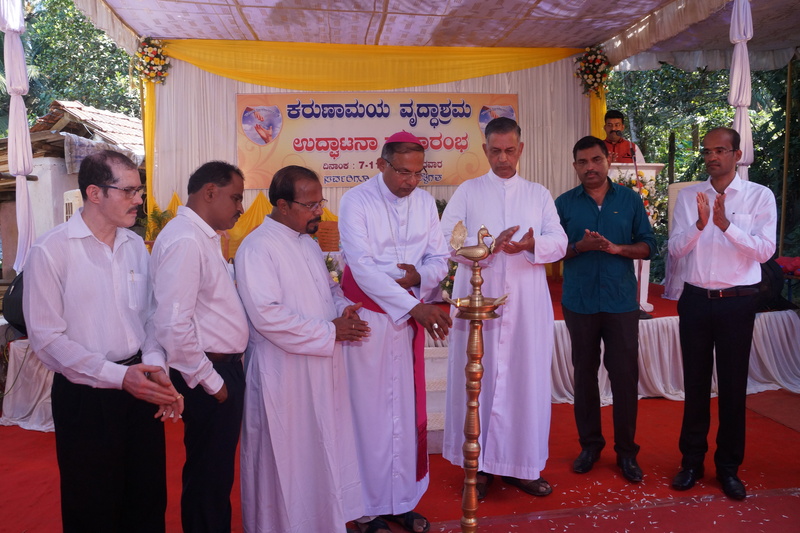 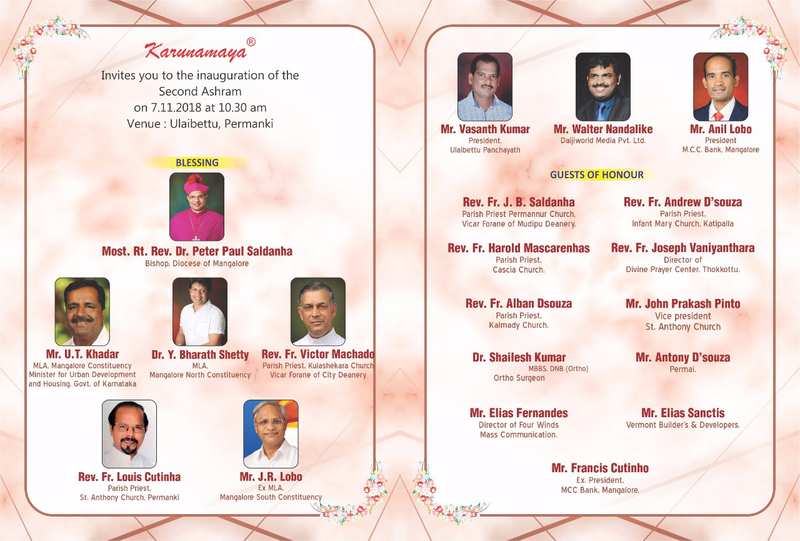 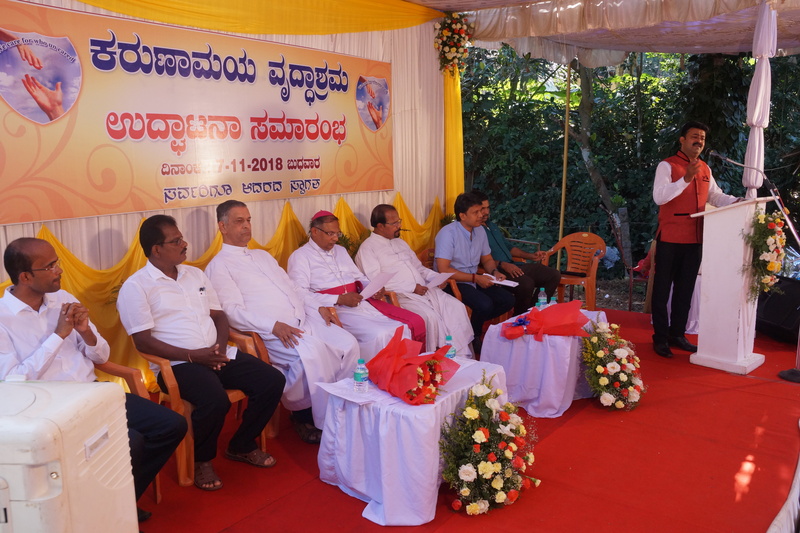 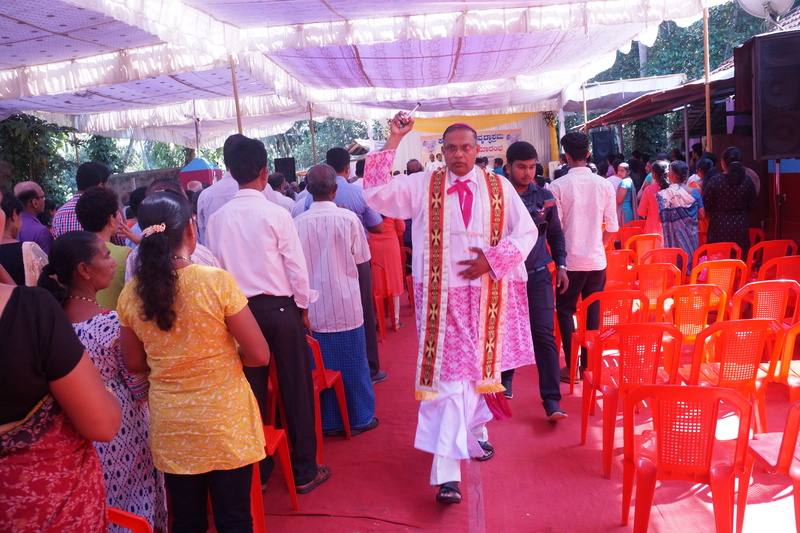 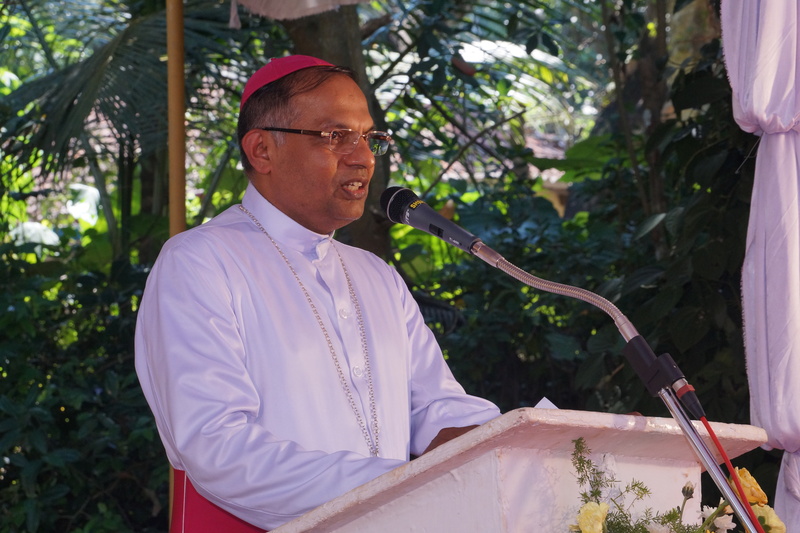 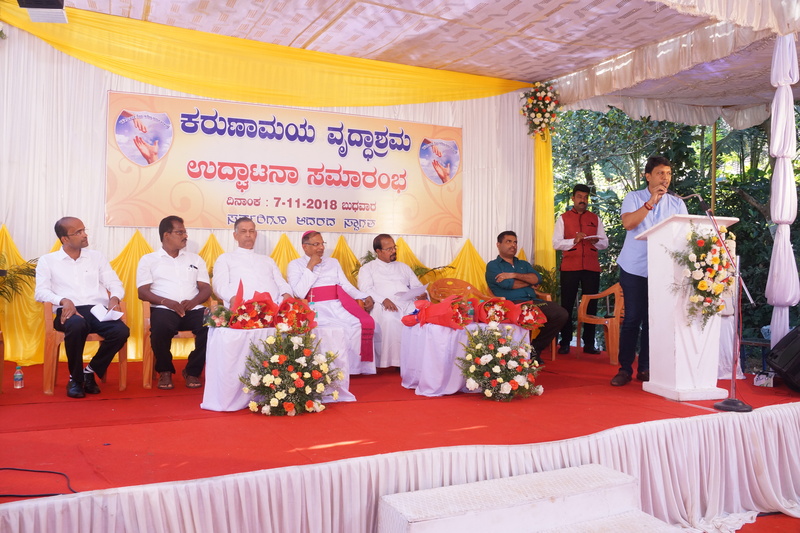 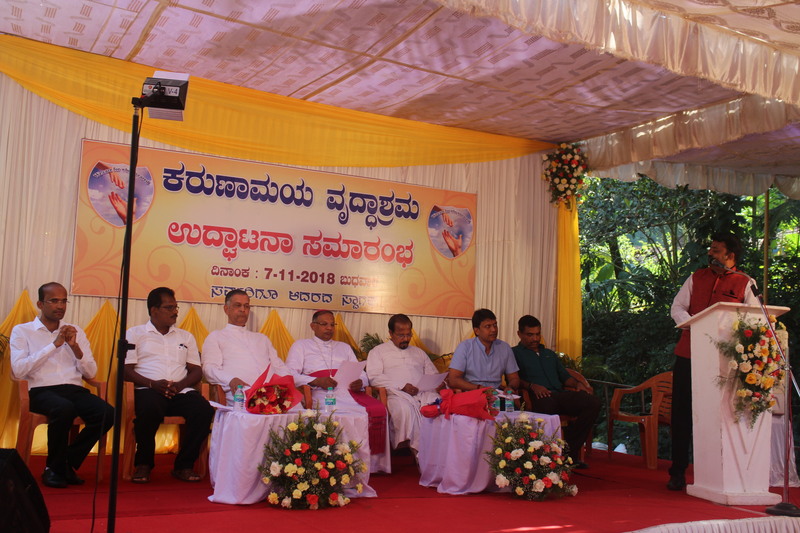 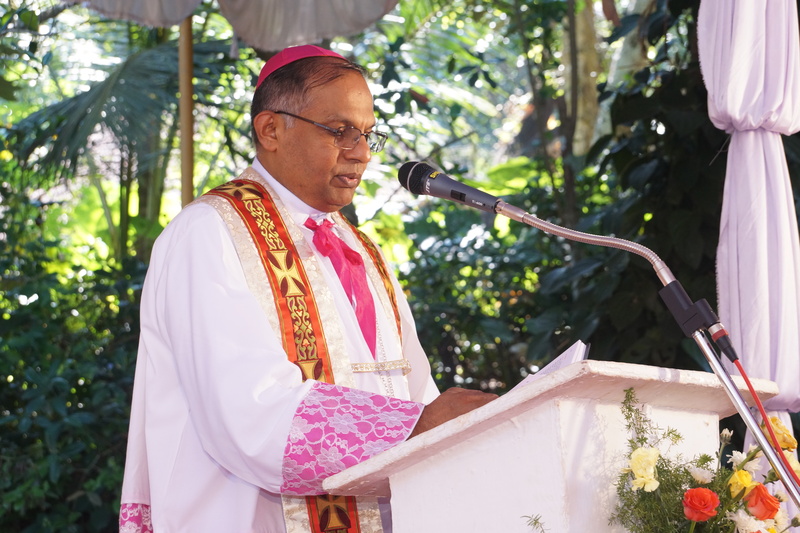 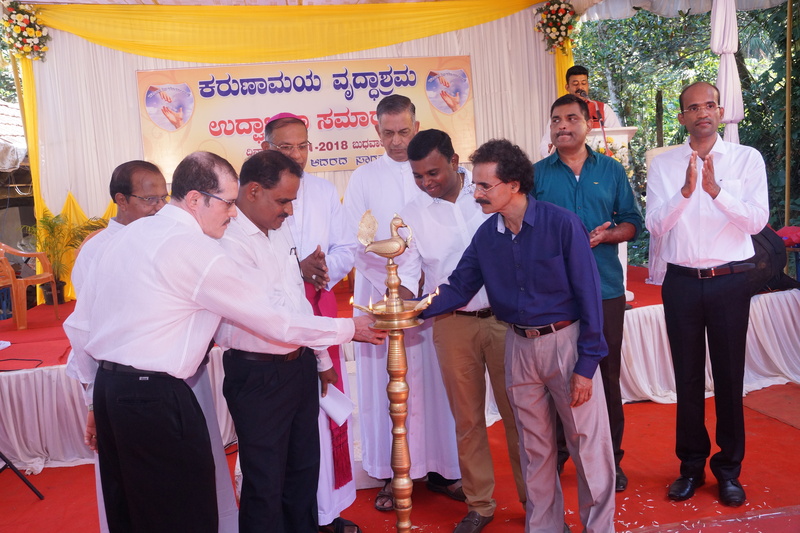 God bless the SVP members of Kulshekar Parish for their gracious hearts. 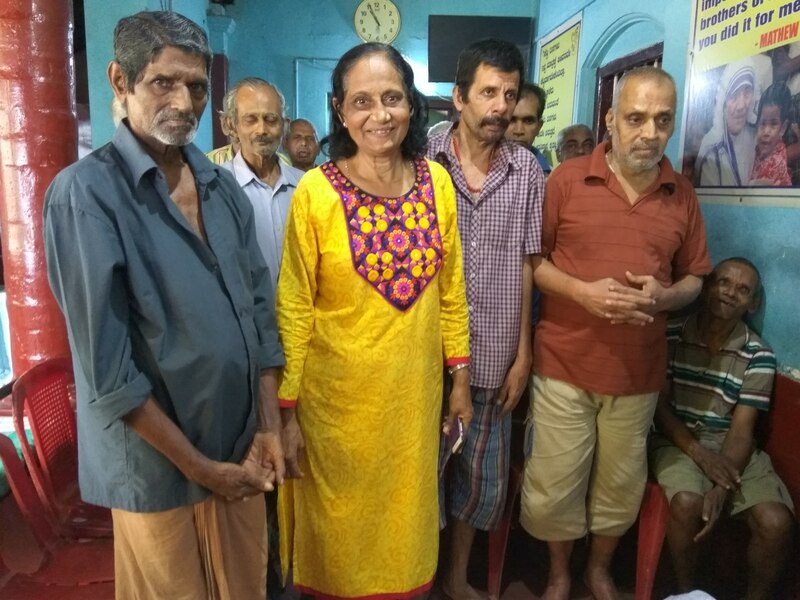 A destitute individual with an amputated leg and a chronic diabetic and who had also undergone an open heart surgery was found in Mallikatta in a critical condition and was in need of help. 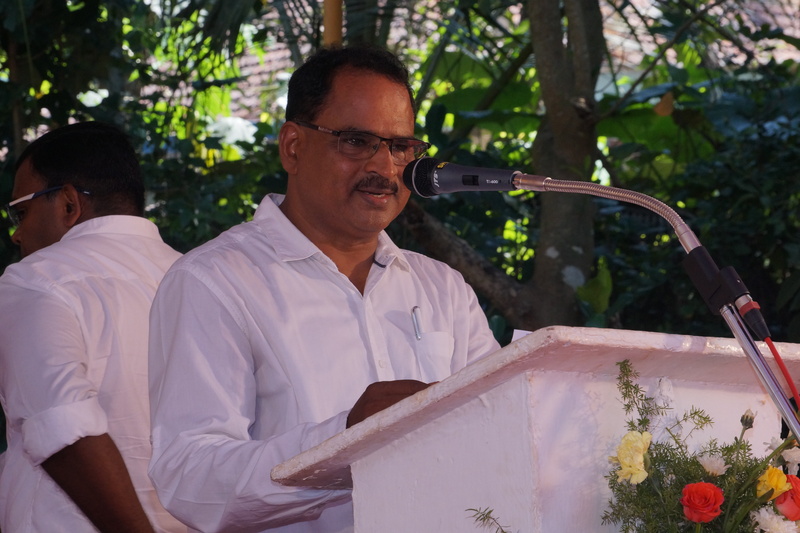 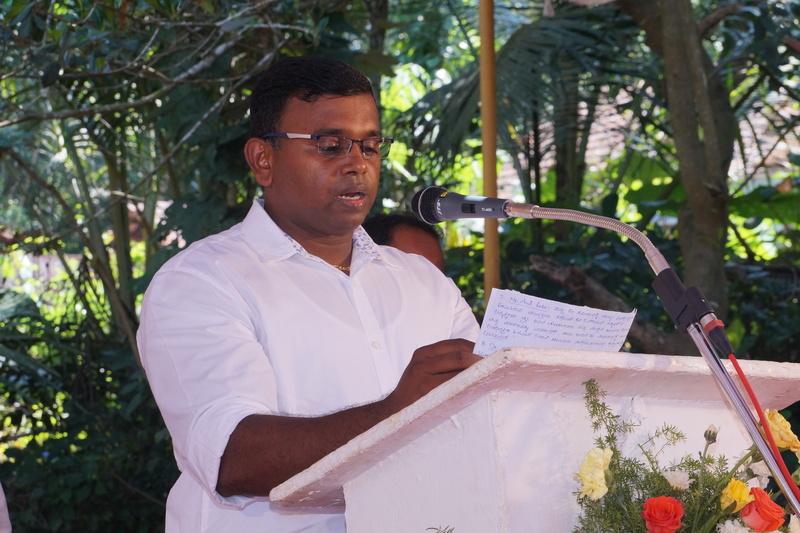 On observing the plight of this man, noteworthy Advocate Mr.Staneley D’Costa called Violet Pereira who is the chief of Mangalorean.com. 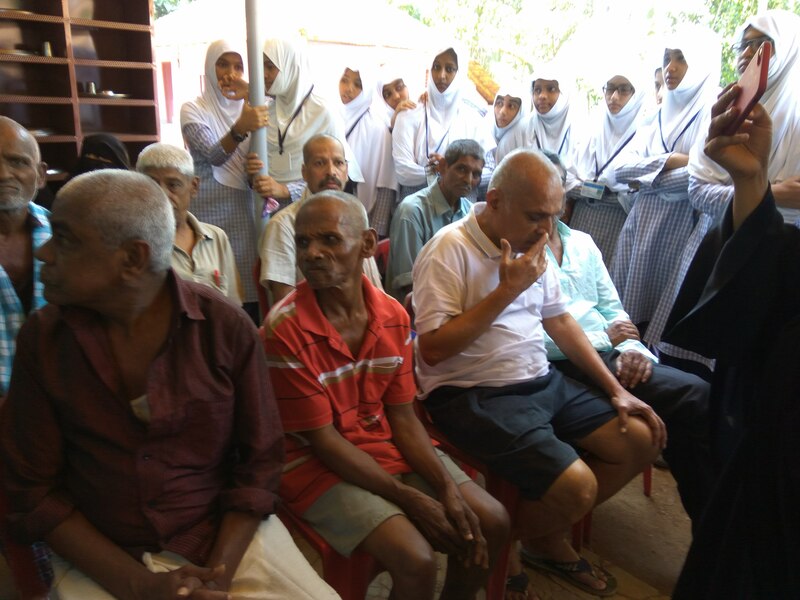 Even though some of the NGOs were asked to help, they did not come forward. 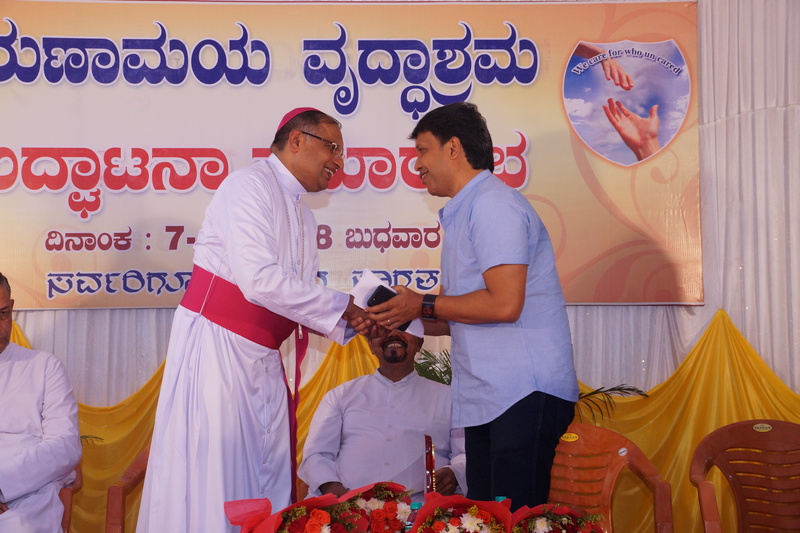 It was at this moment that Karunamaya Team stepped in to help and did all they could to help this man. 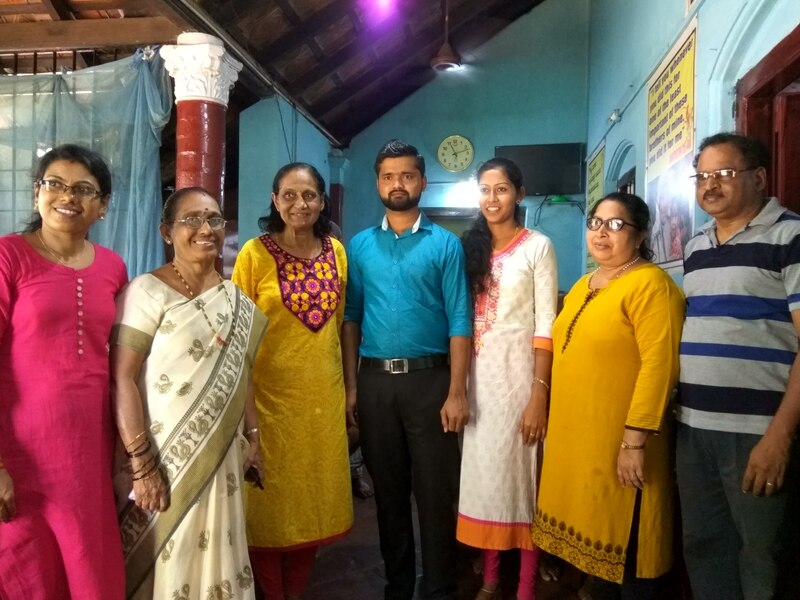 The kindness of Mr.Stanley D’Costa and Team Mangalore towards this man is truly noteworthy. 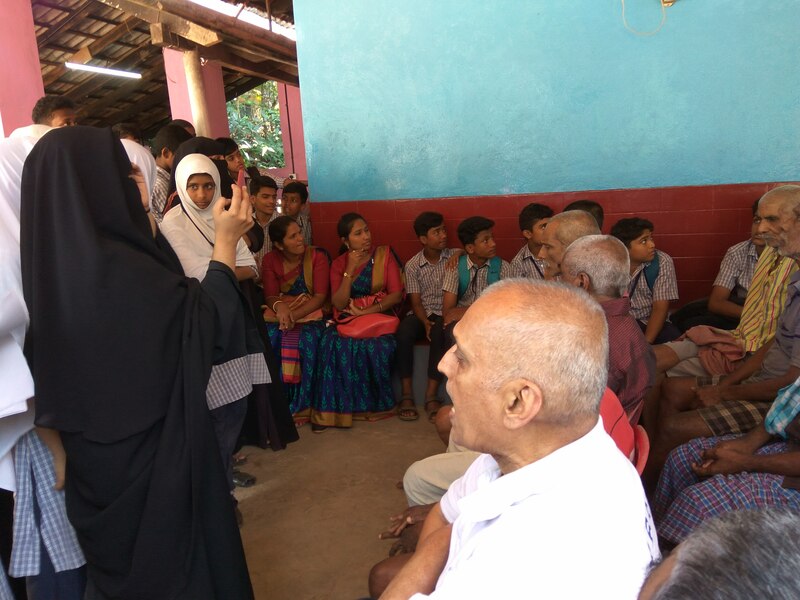 Very few people step up to help the destitute while most individuals turn a blind eye towards the downtrodden. 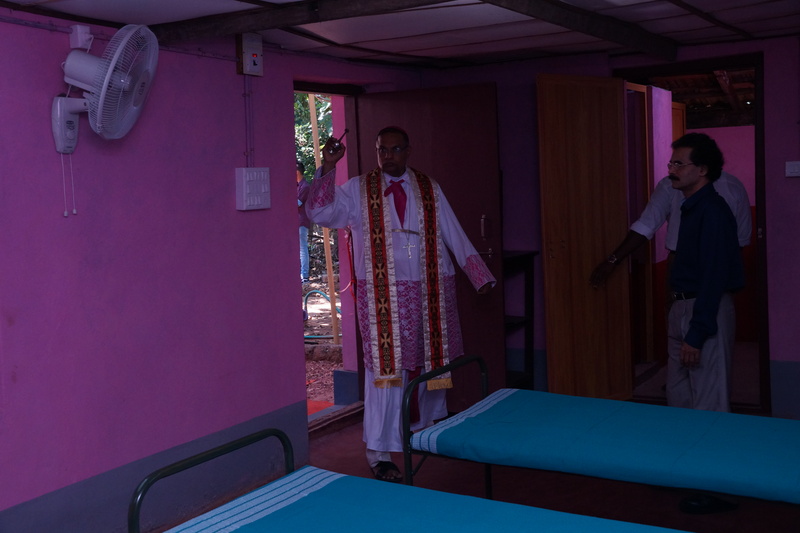 The man is now happy and recovering at Karunamaya Ashram. 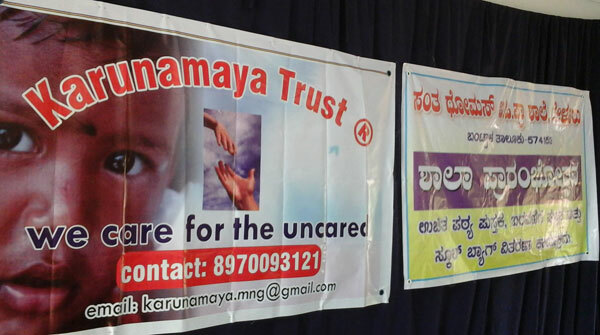 God bless Karunamaya for helping the destitutes when nobody cares. 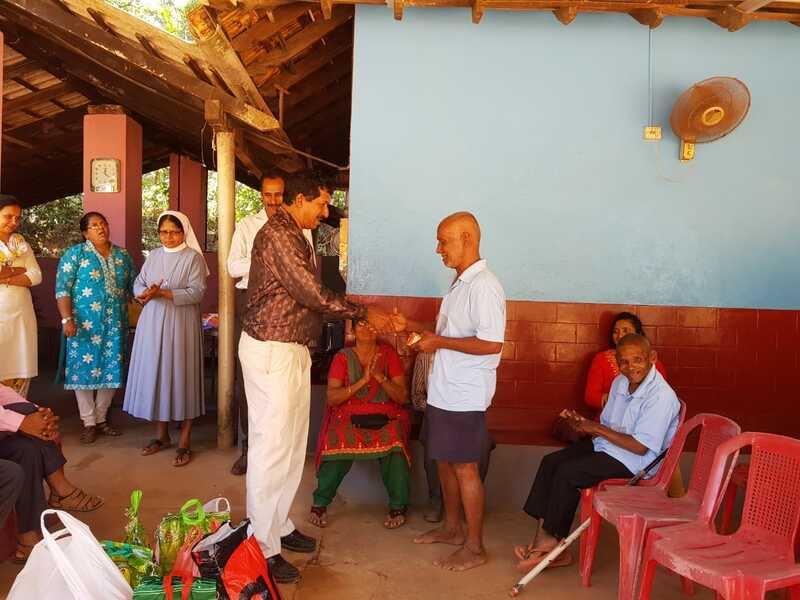 Their kindness and good heart shall always find a special place in the hearts of many. 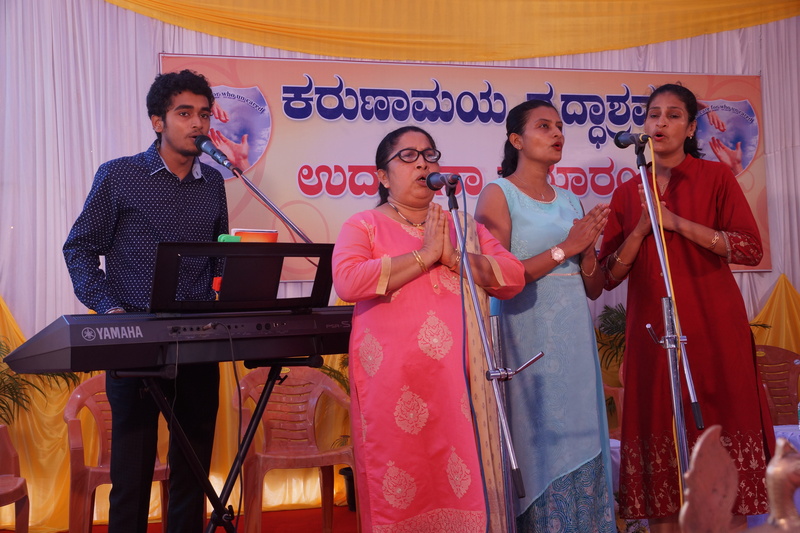 Mangalorean.com also records this as seen in the link below. 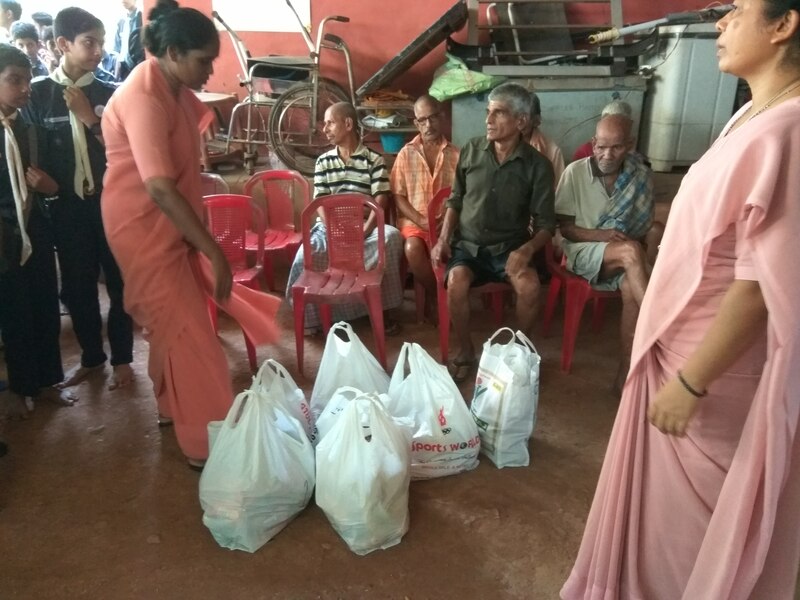 Karunamaya Comes to the Rescue of Destitute When 2 other City NGOs Deny Help! 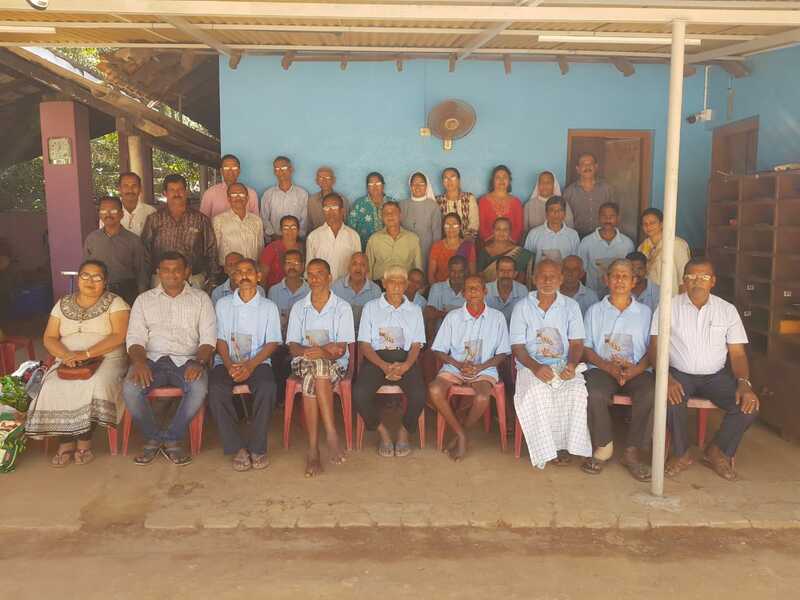 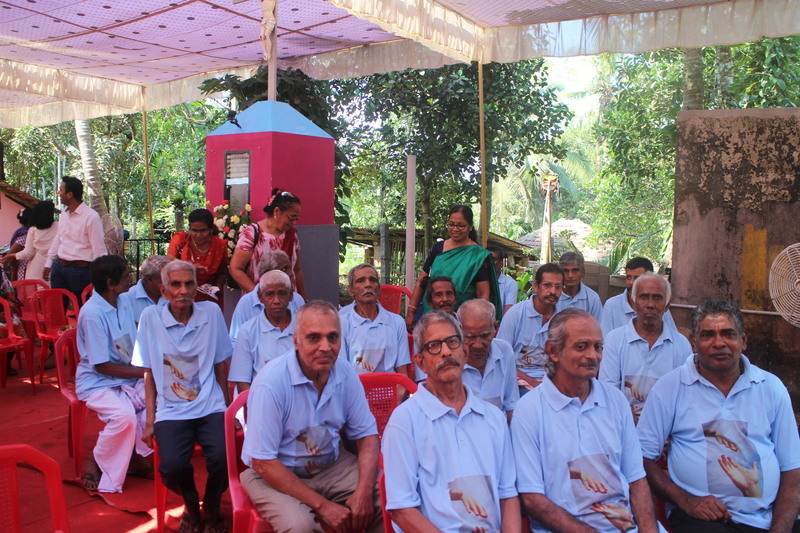 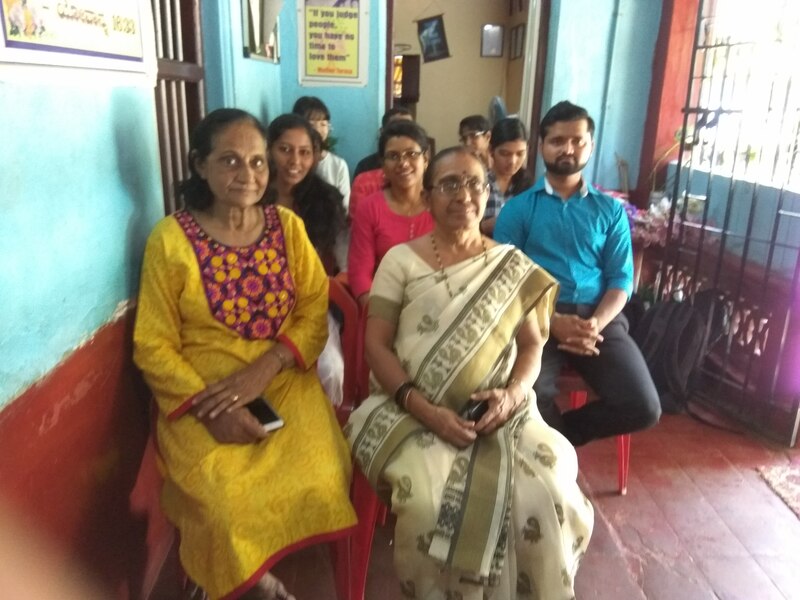 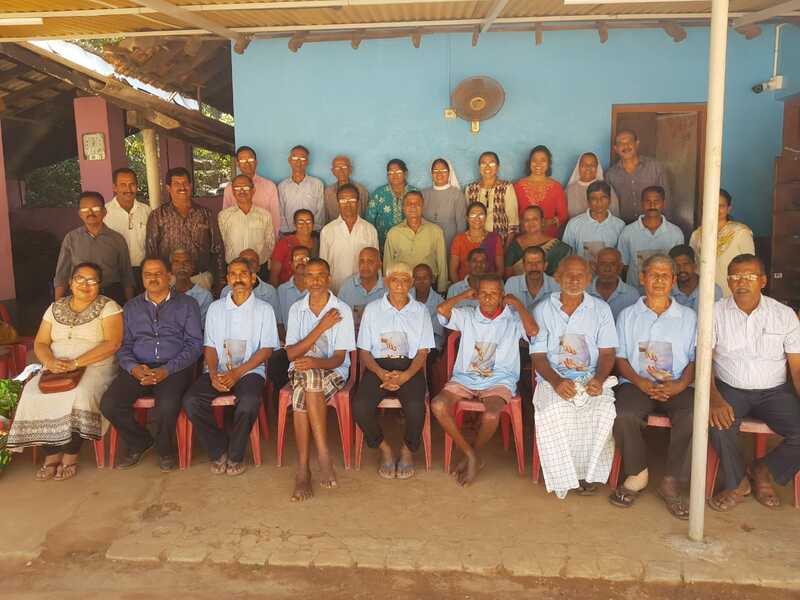 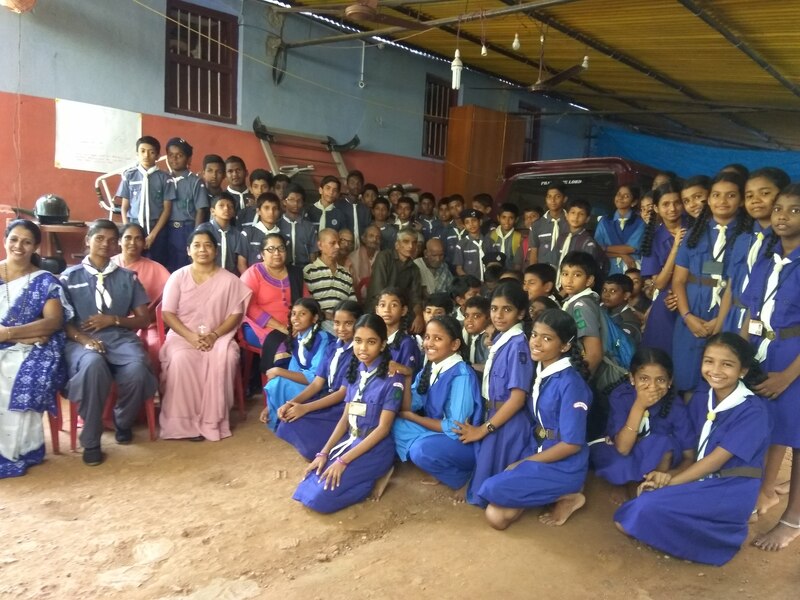 MSW students of Mangalore University conducted a Mental Relaxation program for the senior inmates at Karunamaya Ashram. 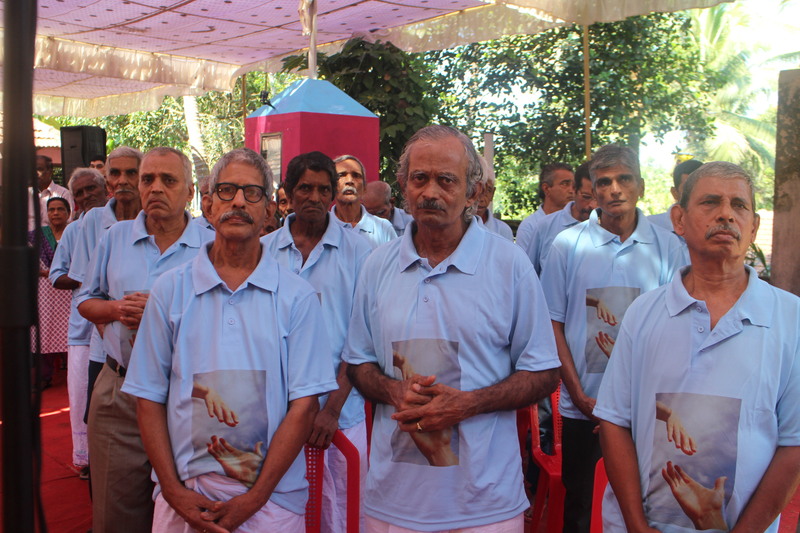 The mental relaxation techniques taught by them have surely benefitted the inmates at Karunamaya. 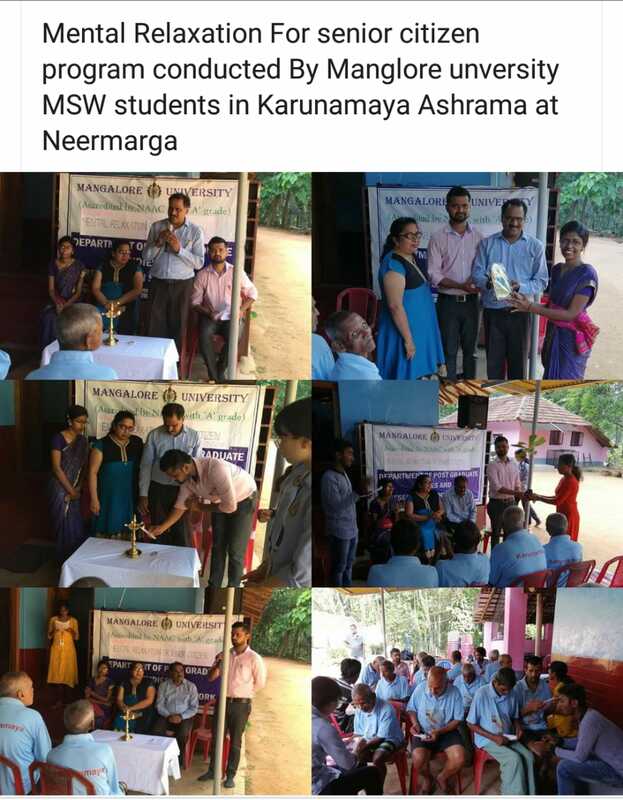 Thank you dear students for exhibiting social responsibility by going out of the way to help the needy. 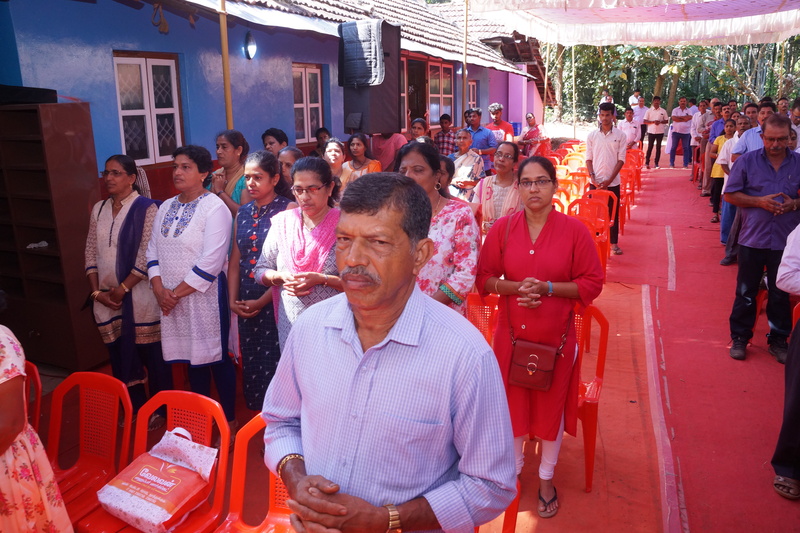 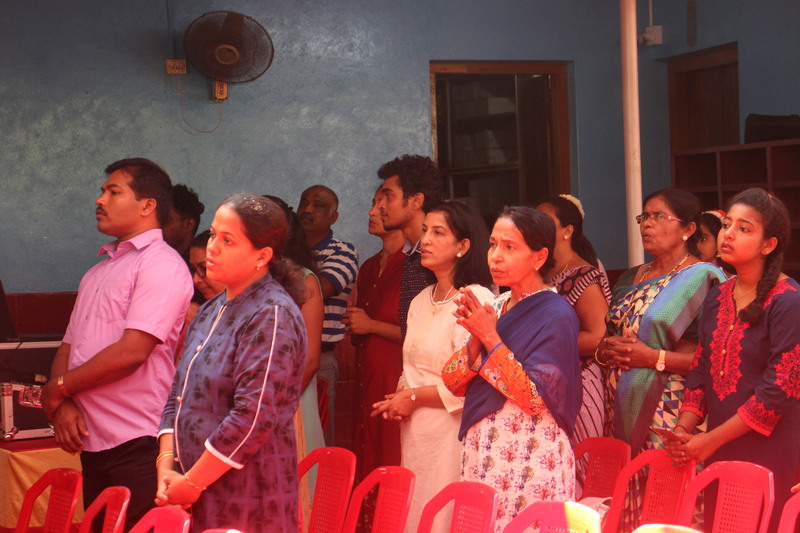 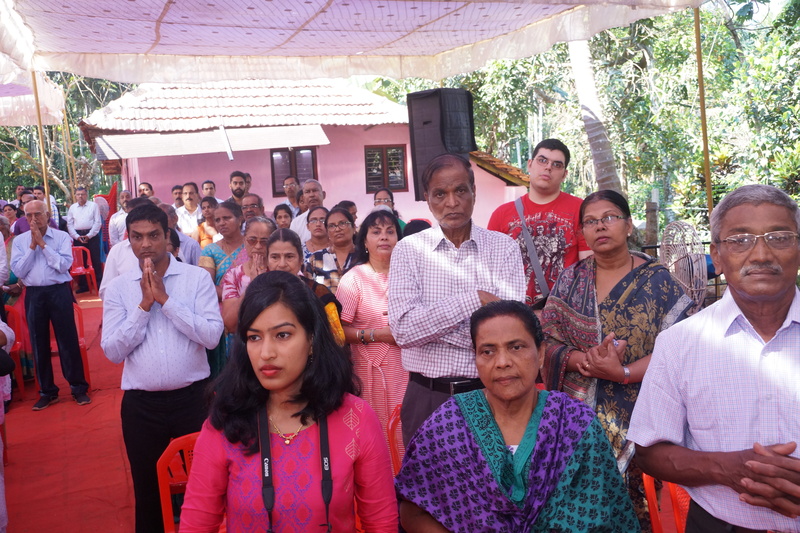 At the Karunamaya ashram in Permai, Christmas 2018 was a joyous and memorable occasion. 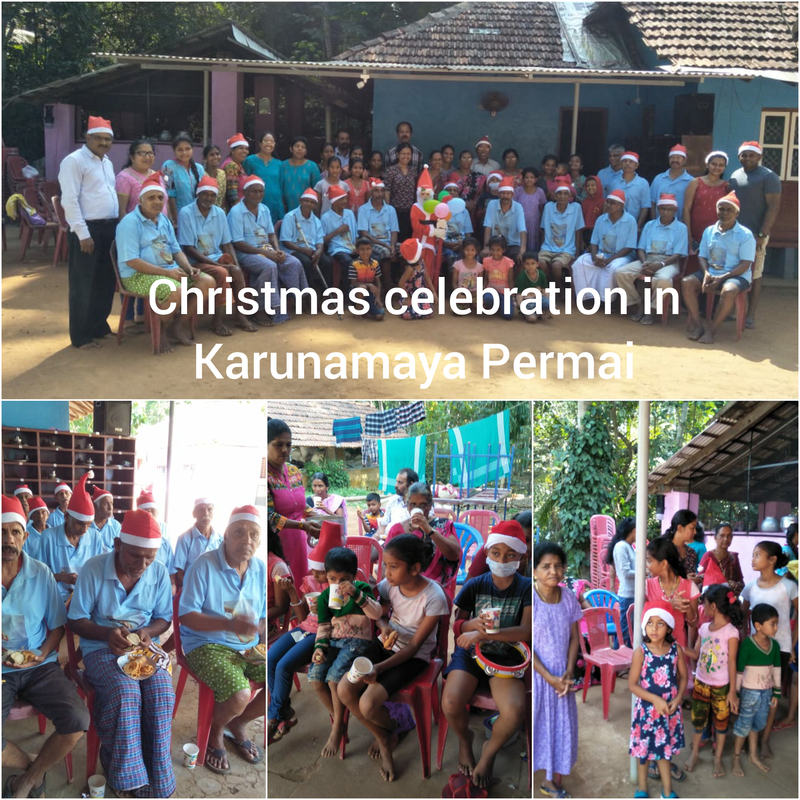 The yuletide cheer was shared among one and all, with the Karunamaya Team going beyond measure in making the inmates feel loved and cared for. 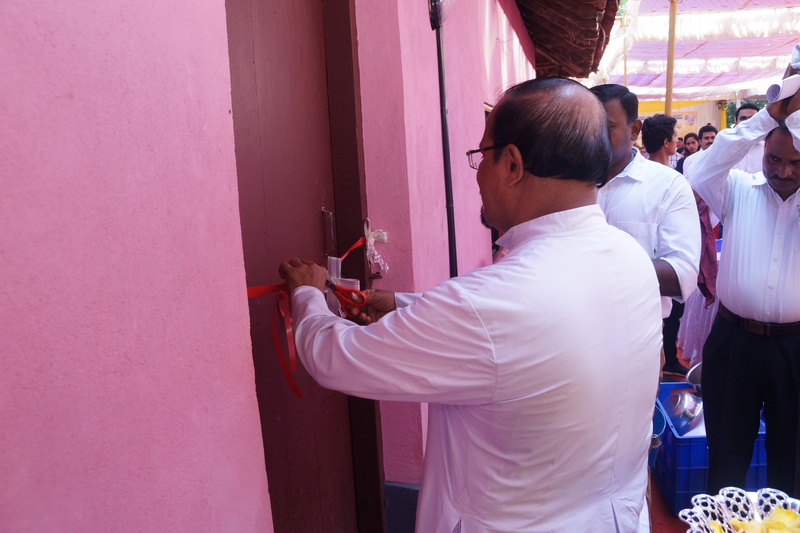 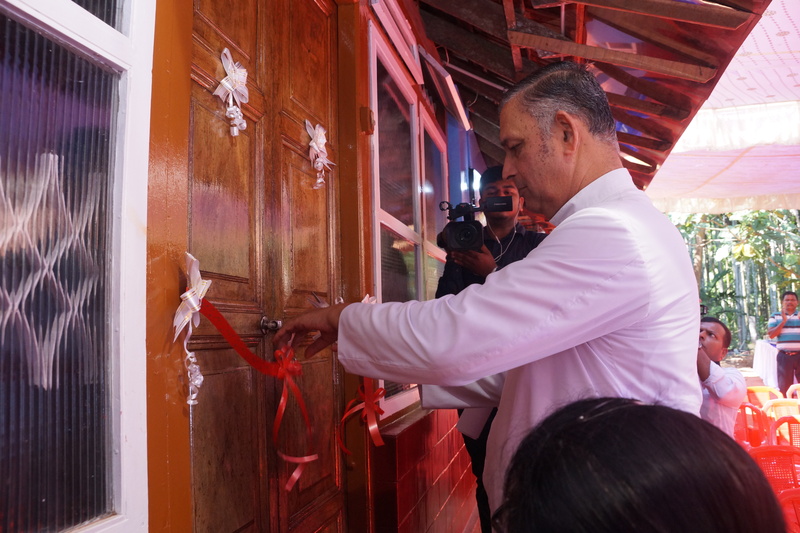 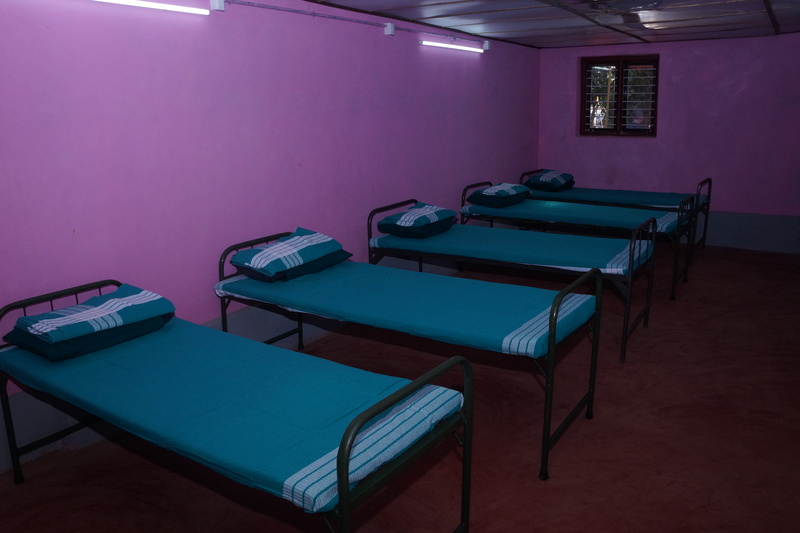 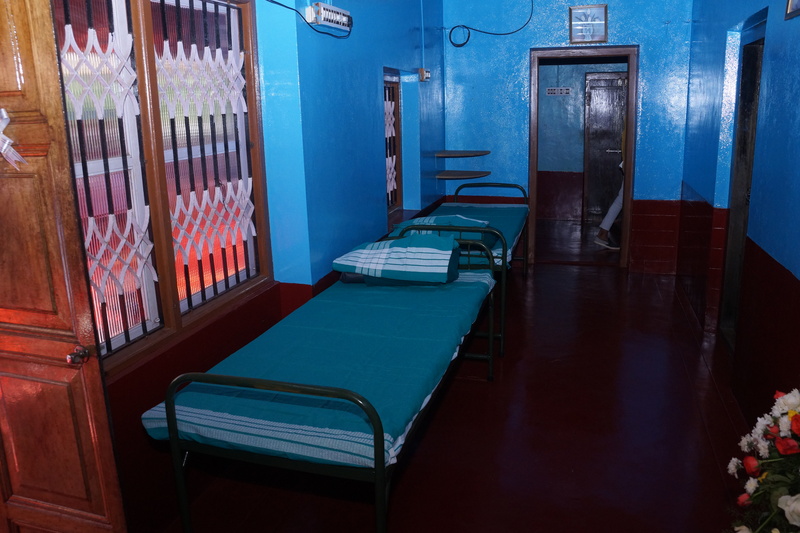 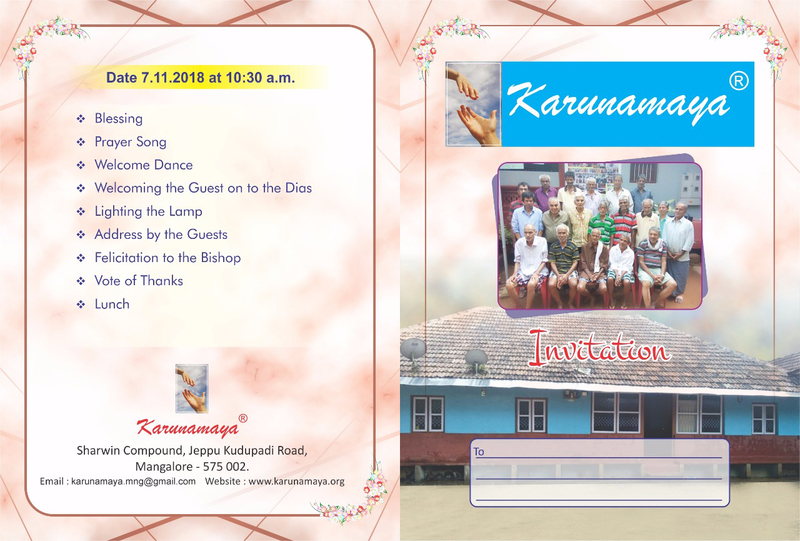 The inmates who are destitutes picked up from streets, all alone and away from their loved ones, find solace in this beautiful place Karunamaya which opens its arms open-heartedly to help these individuals medically and emotionally, giving them the much needed love and support. 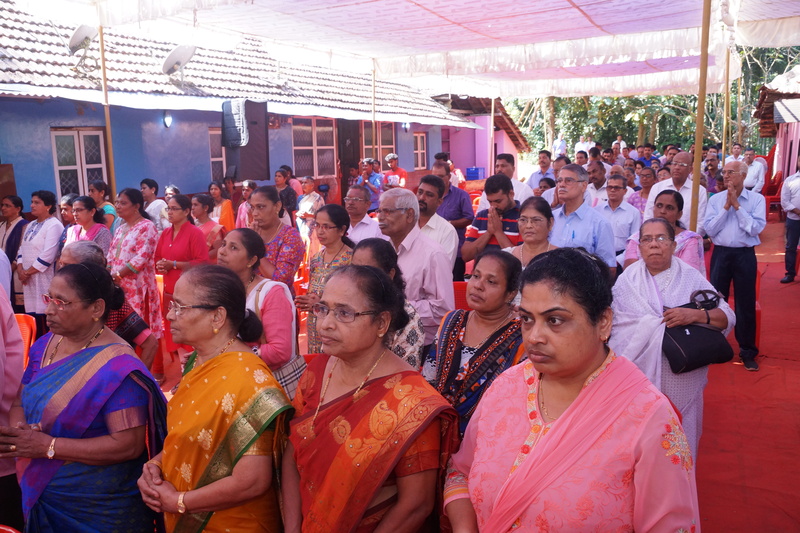 May God bless Karunamaya Ashram and its team members and inmates and may they have many more such joyous Christmas celebrations in the years to come. 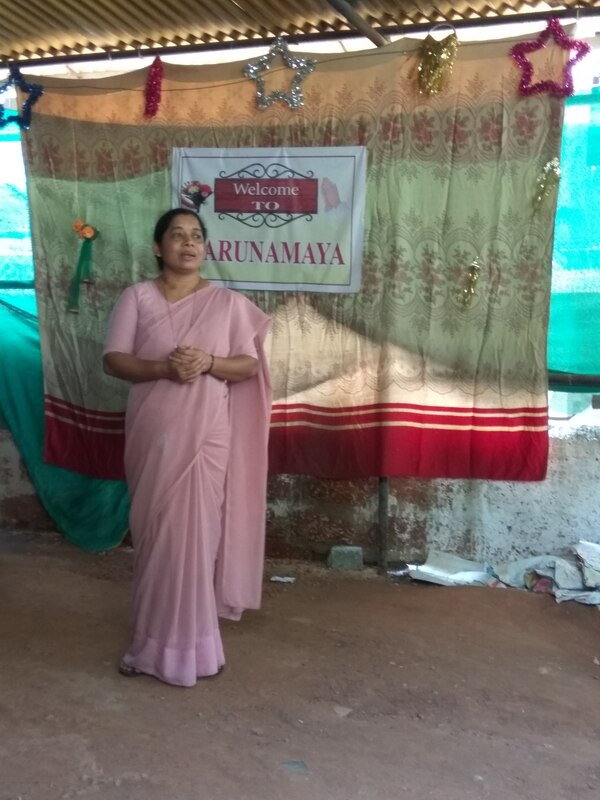 It was an elating experience to have Miss Mangaluru & Mrs Mangaluru at Karunamaya Ashram. 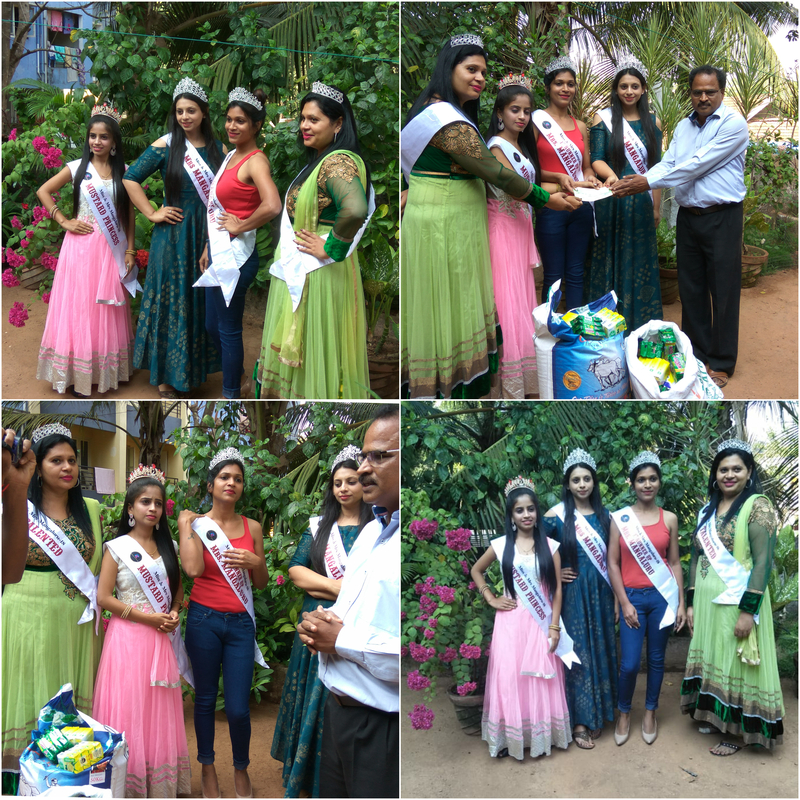 These beautiful ladies graced Karunamya with their sheer presence and we appreciate their kind gesture of social awareness towards the destitutes. 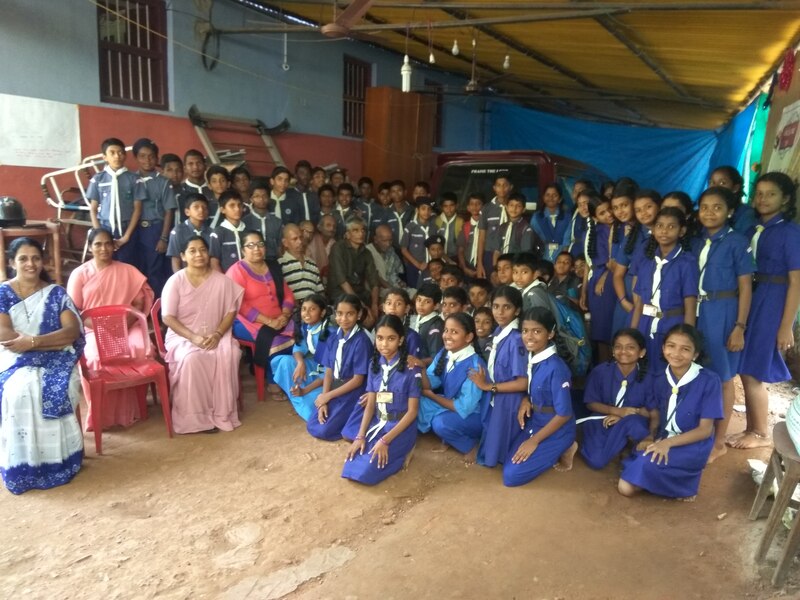 It was a pleasant occasion when the Scouts and Guides of St.Rita Cascia School came in large numbers to Karunamaya Ashram. 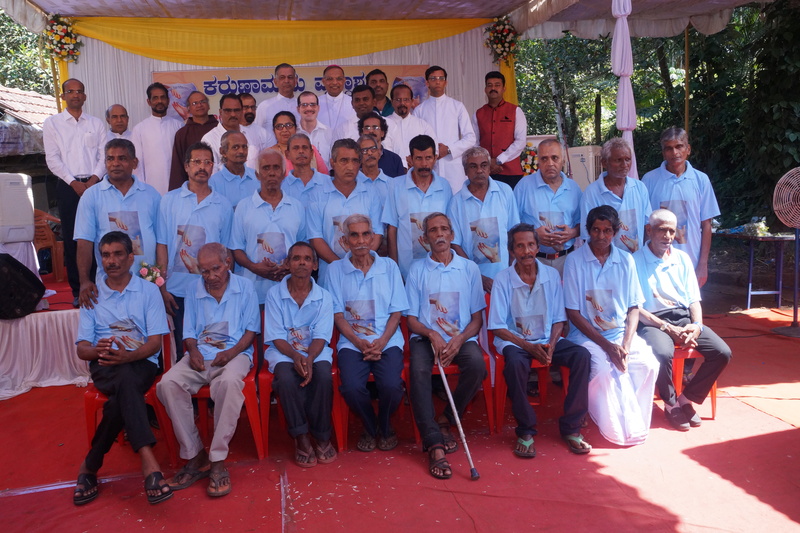 They were such a blessing to the inmates and the team. 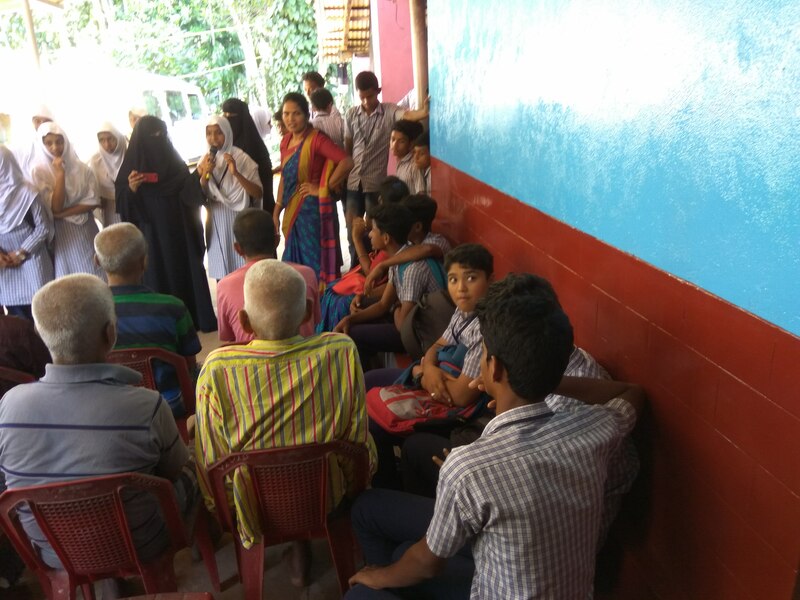 The children’s exuberance and love was very heart-warming. 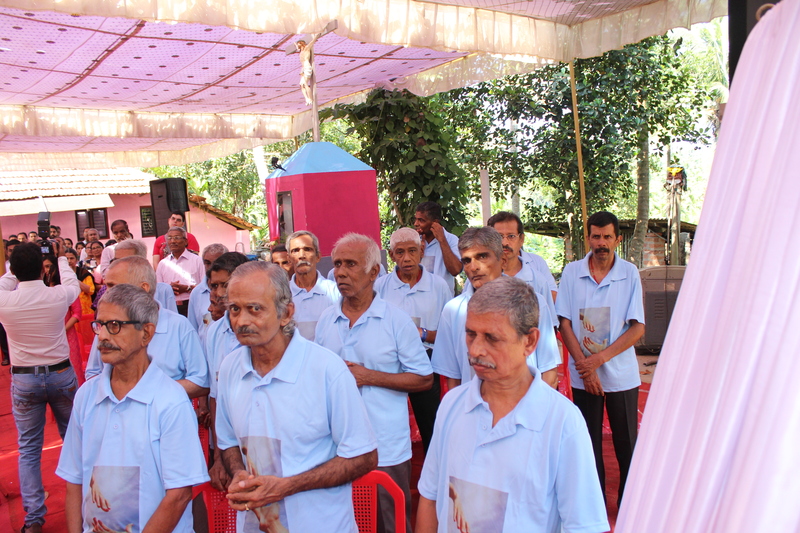 They gave a wonderful program and also donated necessary commodities for the Ashram. 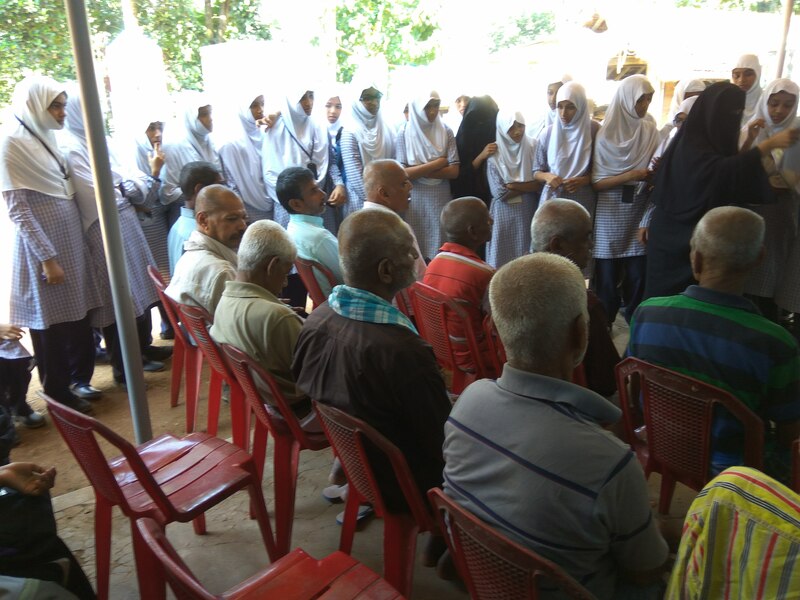 May God bless the teachers and students for their act of kindness in remembering the down-trodden. 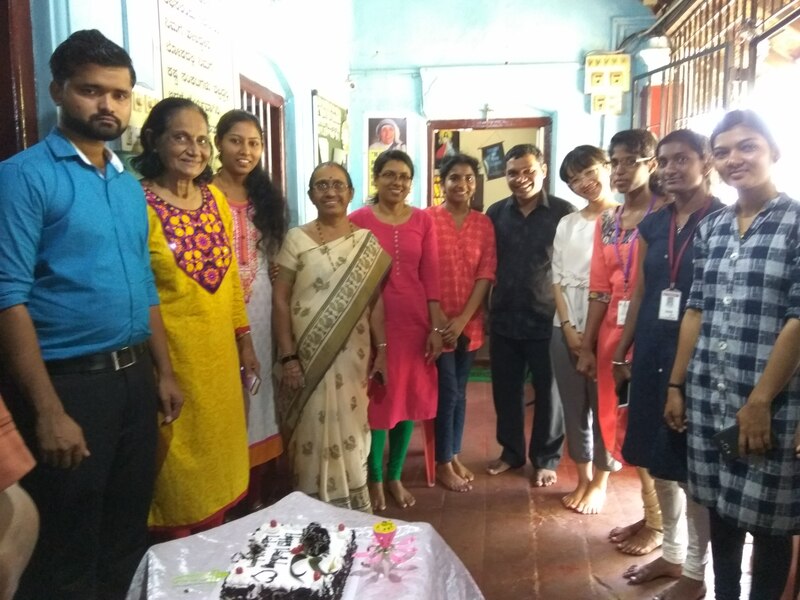 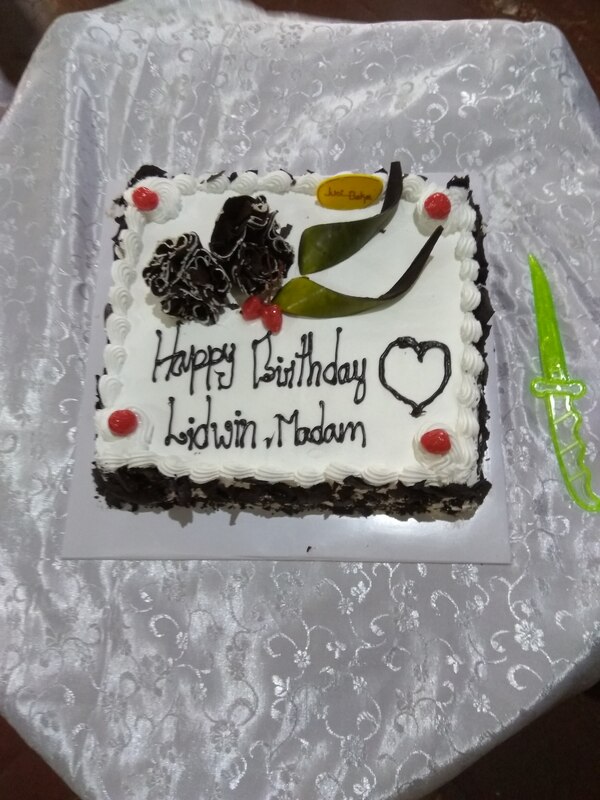 Mrs. Lidwin Lobo, member of Vishwas Trust, celebrated her birthday in Karunamaya ashram along with the Karunamaya team, Inmates and Staff of Vishwas Trust. 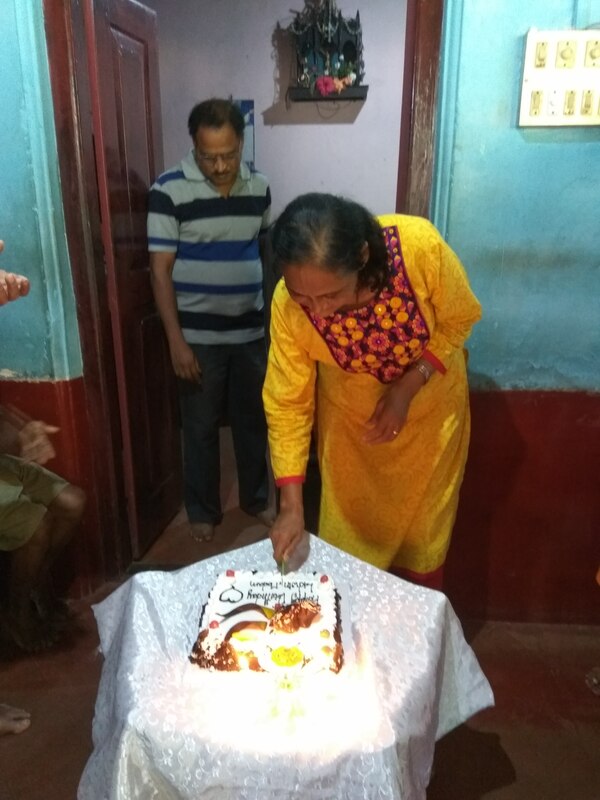 It was a fun-filled and joyous occasion and the delicious cake was savored by everyone. 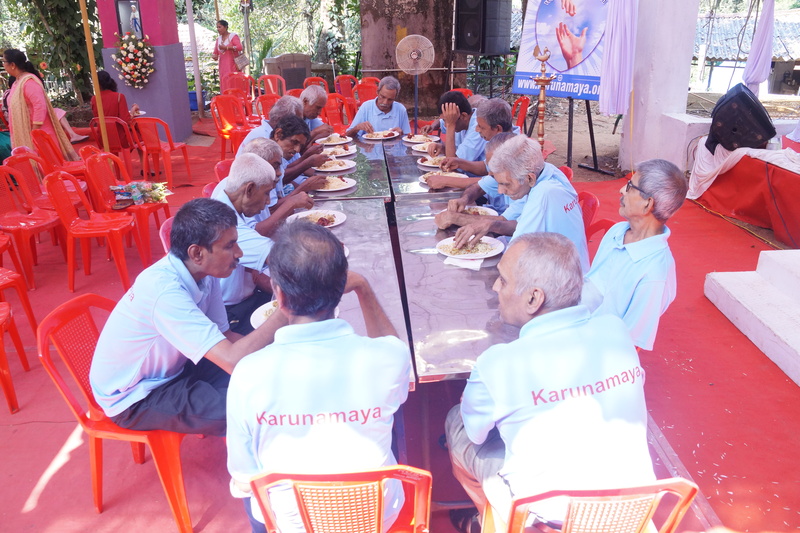 Vishwas Trust provides tremendous support in the field of social service and lends a helping hand to the Karunamaya team often. 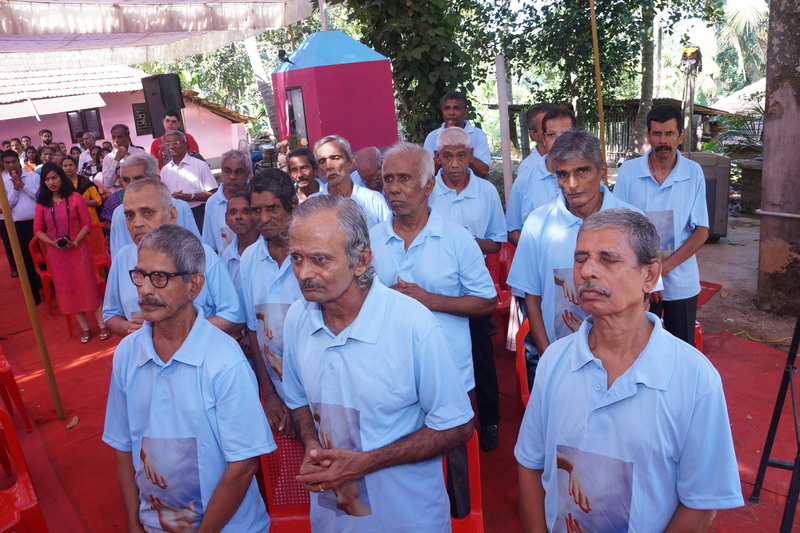 May God bless Vishwas Trust and its members who wholeheartedly reach out to Karunamaya Ashram and its inmates in their selfless service. 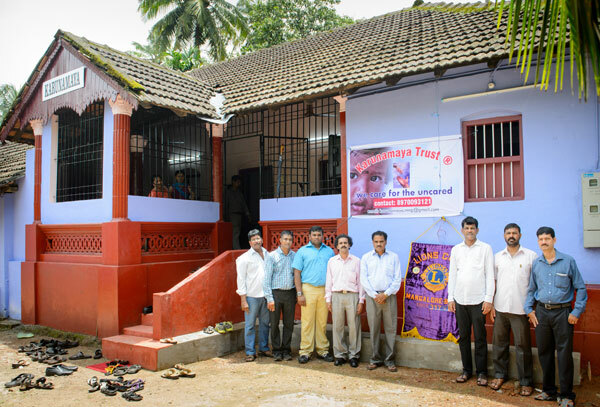 Karunamaya Team extends heartfelt gratitude to Vishwas Trust.